50’s throw-back films! Greasers. John Waters after Devine. A bit on Iggy Pop. Who is Traci Lords? A confused opinion on hatchet-face. Johnny Depp?! Entire budget of Cry-Baby: $12 Million. Depp’s average Pirates salary: $88 Million per film. Faux jazz lounge scene! Coupling and single characters. Drapes and squares. Bases and religious tattoos. The alphabet bomber movie. 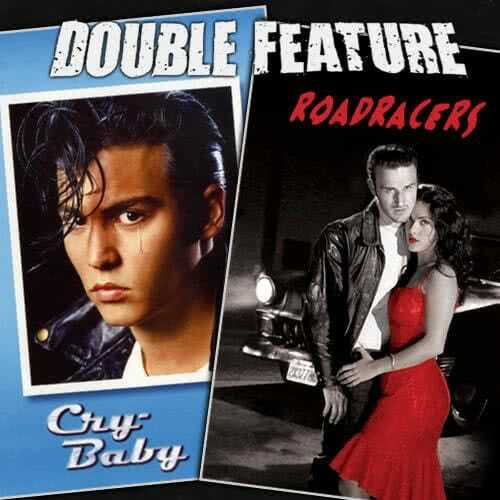 Is Cry-Baby a musical? Adaptations of adaptations. Courtroom scenes. Use the manhole! Roadracers: The Making of a Degenerate Hot Rod Flick. Showtime’s Rebel Highway series. An Invasion of the Body Snatchers metaphor. John Hawkes’ character. Building around icons. The long-awaited Roadracers DVD release! This entry was posted in All Podcasts, Year 5 and tagged John Waters, Robert Rodriguez. Bookmark the permalink.